Amazing riding, awesome concerts and a great crowd made the second stop of the Ride Further Tour at MODULAR Festival in Augsburg into one hell of a weekend! 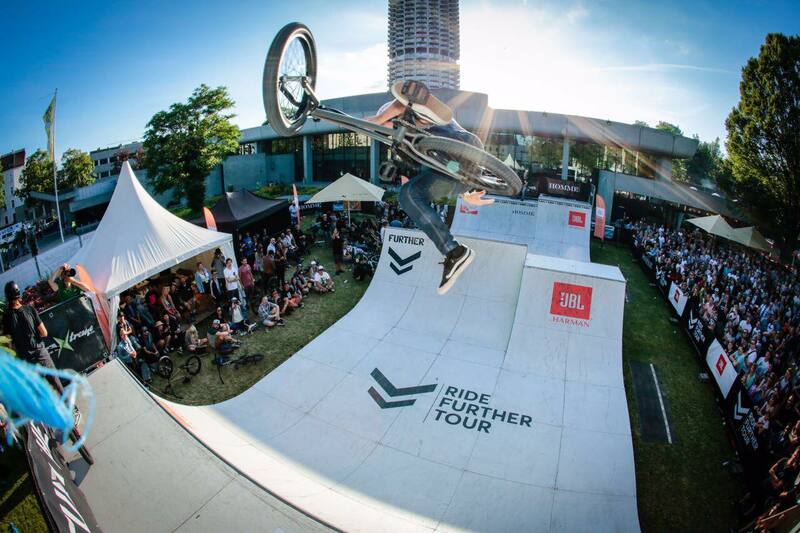 20 riders invited from all over the world attended the festival together with 30.000 guests to watch international bands and DJs perform in the heart of the city. The BSD crew with Chaz and Connor Mailey made their way down to Bavaria, as well as Sergio Layos and the, still current world champion, Adrian Malmberg from Sweden, Matt Priest, Lima Eltham, JB Peytavit and many more. The mix of different riders and riding styles was what made this contest so unique and enjoyable, with a laid-back vibe and a great atmosphere throughout the weekend. Everyone showed off their skills on the miniramp spine / jump box combo at qualifiers on Friday and gave the crowd a taste of the massively high level of riding they could expect in the final on Saturday. And they weren’t disappointed! The 16 finalists shredded the ramp with tons of steeze mixed with stylish tricks and a “180 over the barrier into the crowd” by Adrian Malmberg. 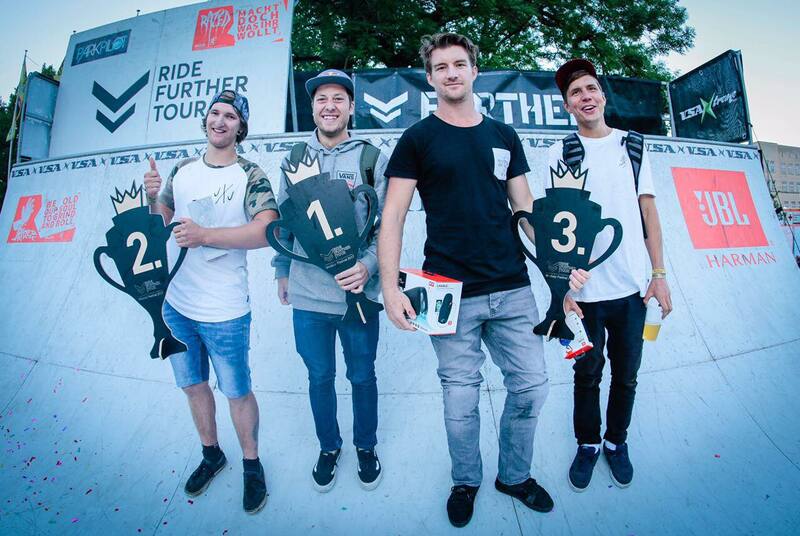 First place went to Sergio Layos from Spain who showed off his skills with a combo 270 x-up to lookback and a 360 and was followed by the local rookie Jonas Lindermaier (DE) with a 540 Double Barspin. 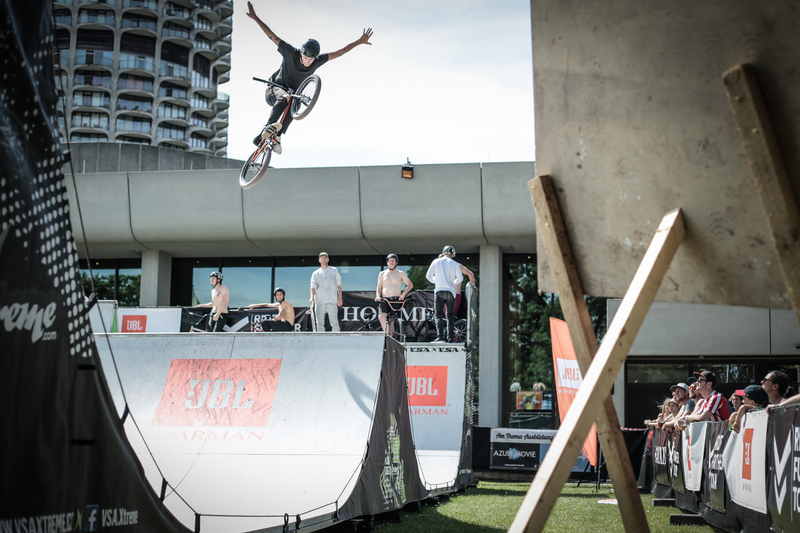 The third place went to JB Peytavit from France, who really impressed the judges with his clean run, and a Bikeflip and Oppo Flair. Adrian Malmberg from Sweden was awarded fourth place due to his great combos including a 180 Whip. After lots of confetti and champagne at the prize giving as well as a birthday song for Chaz, there were tons of concerts to enjoy. Including the after show party, with Levi Jackonia at the turntables absolutely rocking the dance floor! All in all the weekend was a complete success and had everything you could ask for! We can’t wait for next year!